Thanks again to persistent ABFLY lobbying, a new bus service linking St Albans’ railway stations and the city centre has launched this week (Monday 30 January). 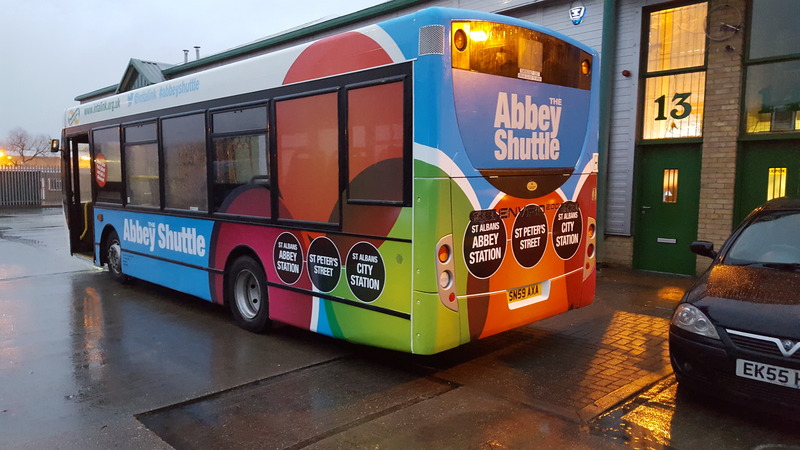 The Abbey Shuttle will travel between St Albans Abbey Station and St Albans City Station via St Peter’s Street with the timetable scheduled to coincide with the Abbey Line train arrivals and departures. The service is a 12-month pilot funded by a £150k grant from the Department for Transport. Included in this cost is a marketing campaign aimed at residents and businesses. All profits from the service will be reinvested in the route and if successful the contract will extend past the one year trial project.